The memorial to Abdullah Ibrahim’s music legend, Mannenberg, can be found in Bloem Street, Cape Town. At first glance it's a coat rack, then a geyser, then a mausoleum. 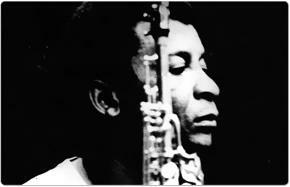 But hit it with a stick and it turns into South Africa's most famous jazz tune, Mannenberg, by Abdullah Ibrahim. That's the surprise waiting for pedestrians along Bloem Street in Cape Town, the site of one of 40 new memorials and monuments springing up on pavements and city squares countrywide as part of the Sunday Times's centenary heritage project. The Bloem Street installation - a stainless steel, wall-mounted public "instrument" - commemorates the song that evokes the sound of a bygone South African era. Mannenberg, a poignant jazz tune that captured the sombre mood of Seventies South Africa, was recorded in a studio in Bloem Street in 1974, by Ibrahim and several colleagues - among them musical icons such as Robbie Jansen and Basil Coetzee. The memorial is welded onto the building that once housed the music studios where the recording took place. It consists of seven metal pipes, a metal base, a commemorative plaque and two metal drumstick holders. When the pipes are struck, they produce the opening notes of the tune that was also an anti-apartheid anthem. Inscribed in the stainless steel is the instruction: "Run a stick along these pipes to hear Mannenberg." The original drumsticks disappeared within a few days. Many people now use car keys, pens and cellphones to get the tune going. "I don't know Mannenberg but this sounds lekker," said one curious onlooker. Mark O'Donovan, the "art engineer" behind the project, said adults sometimes needed a little prompting to hit the pipes: "Children will completely get it, but adults for some reason don't always pick up on the idea." To help things along, O'Donovan organised a team of instructors: "I taught some of the car guards how to do it, but car guards change around," he said. The Sunday Times has sponsored 10 new Cape Town heritage memorials - in addition to 30 others at sites around the rest of the country - which were collectively opened this week by Western Cape Premier Ebrahim Rasool at the National Library. Speaking at the event, Sunday Times editor Mondli Makhanya said he hoped that every South African city and town would boast its own heritage site by the time the newspaper turned 200.